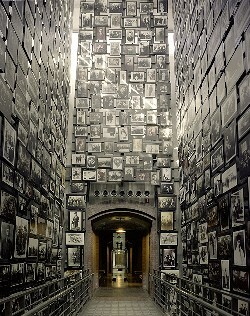 The Museum’s primary mission is to advance and disseminate knowledge about this unprecedented tragedy; to preserve the memory of those who suffered; and to encourage its visitors to reflect upon the moral and spiritual questions raised by the events of the Holocaust as well as their own responsibilities as citizens of a democracy. The Museum is open every day except Yom Kippur (September 14, 2013) and Christmas Day (December 25). Elevator entry to the Permanent Exhibition: 10 a.m.–4:30 p.m.
Information Desk: 10 a.m.–5:10 p.m.
Hall of Remembrance: 10 a.m.–5:10 p.m.
Museum Shop: 10 a.m.–5:20 p.m.
Museum Cafe: 8:30 a.m.–4:30 p.m. Elevator entry to the Permanent Exhibition: 10 a.m.–5:30 p.m.
Information Desk: 10 a.m.–6:10 p.m.
Hall of Remembrance: 10 a.m.–6:10 p.m.
Museum Shop: 10 a.m.–6:20 p.m. 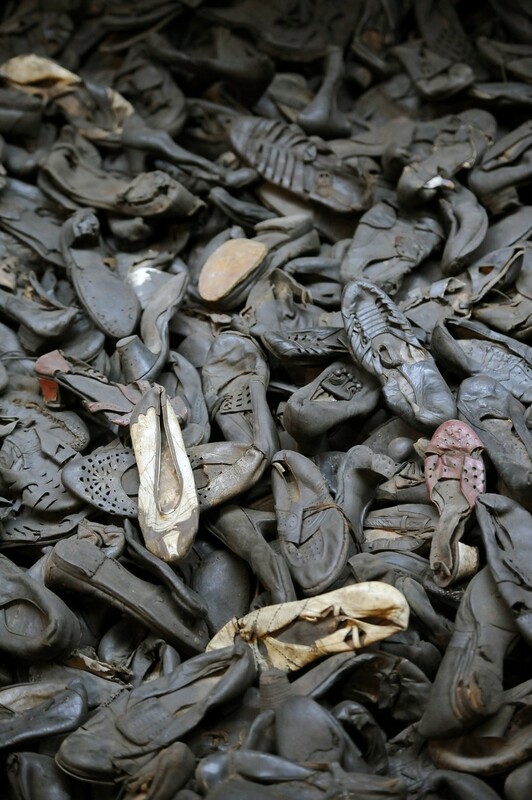 The United States Holocaust Memorial Museum is a place that truly and respectfully represents the genocide that took place in the midst world war two during the Nazi reign. This is a place that covers serious material and there for leaves you with a very uncomfortable yet worth while feeling. Unfortunately the events that took place speak for themself but the exhibitions that have been created to display these grave events are noteworthy. 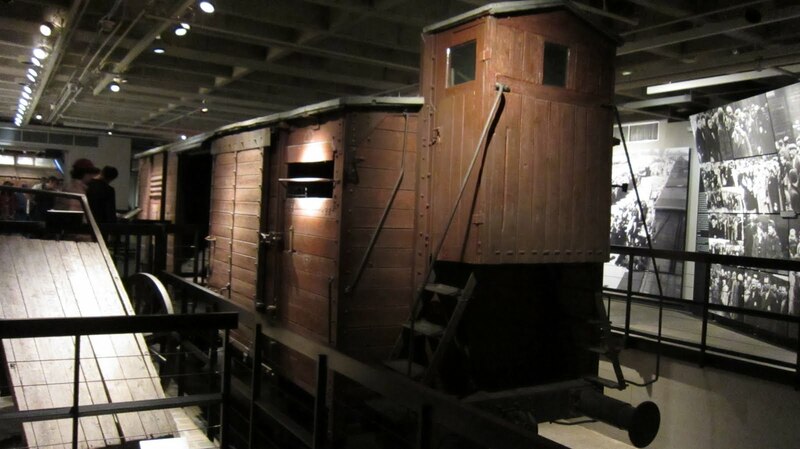 Box cars that were loaded with people to travel to camps are within the museum as well as piles of shoes that were removed from their belongings. Uniforms covered in dirt, tears, sweat, and blood hand limply on hangers. Under no circumstance is this a museum that leaves you with joy but this museum does a terrific job at representing the reprehensible crime that took place. 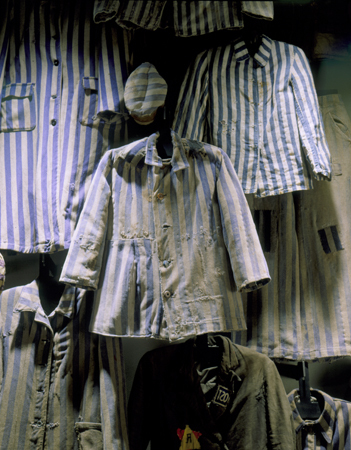 The museum gives you the opportunity to look back and reflect on what took place. The Smithsonian’s National Museum of American History dedicates its collections and scholarship to inspiring a broader understanding of our nation and its many people. We create opportunities for learning, stimulate imaginations, and present challenging ideas about our country’s past. The Museum is open 10:00am to 5:30pm every day except December 25. Admission is always free and no tickets are required. The schedule is subject to change so please check our website for the latest information. 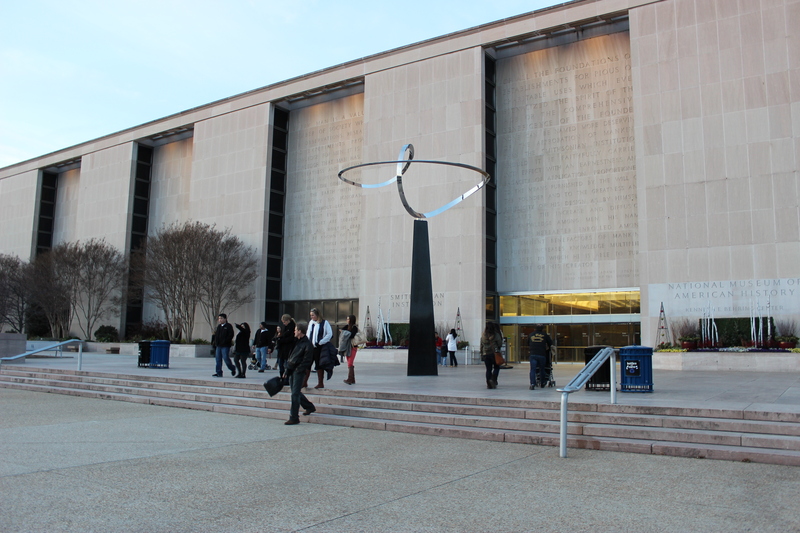 The National Museum of American History is fairly large so be sure to keep that in mind when planning your trip. 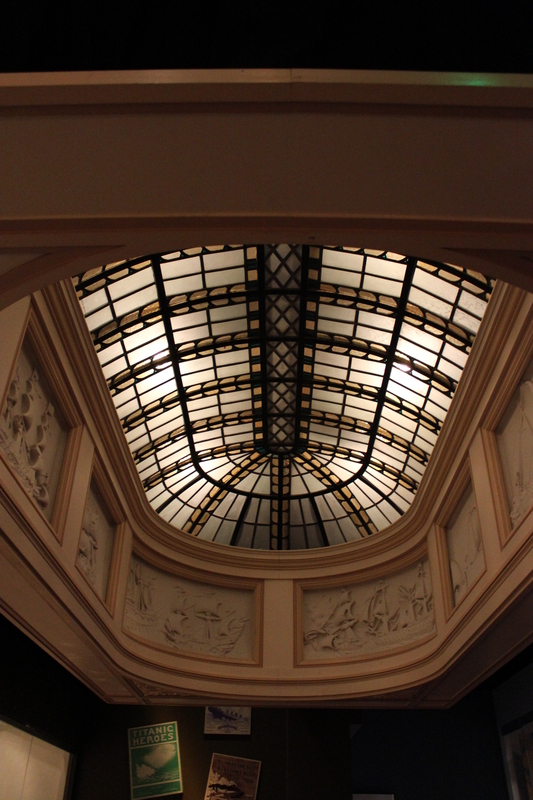 The building has beautiful ceilings so LOOK UP! The museum provides maps but the beauty of this museum is that the exhibits do not connect so travel through the museum as you please. Don’t worry the signage is well placed within the museum so if you need a bathroom or an exit it will be easy to find. Be aware at certain points the paths did become over crowded so take that into account if you are planning to bring strollers and wheel chairs during your visit. 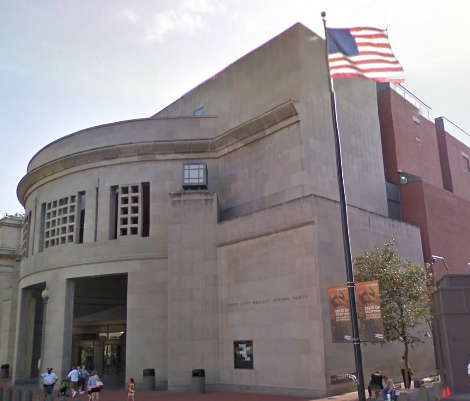 The National Museum of American History is perfect for all age groups. The museum covers topics that run the gamut such as pop culture, transportation and women’s suffrage. The museum incorporates many visual aids and interactive pieces that will interest all ages! I had a few exhibits that I really loved. 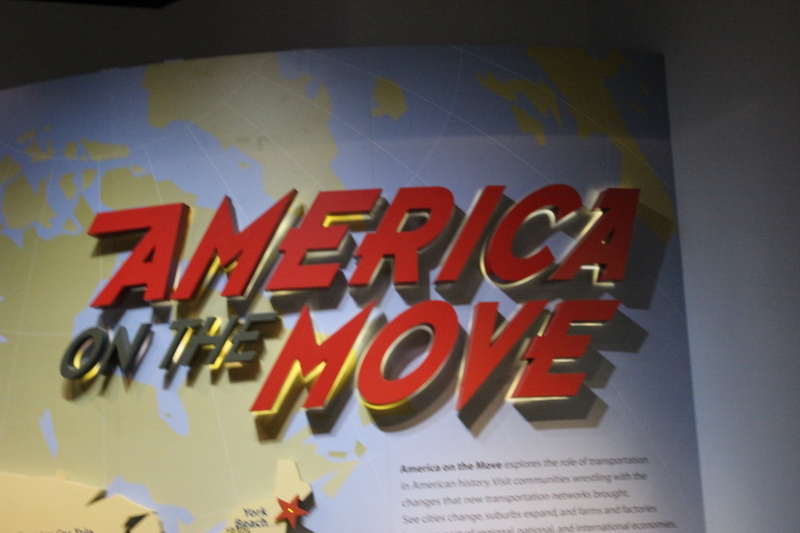 America on the move was an exhibit that walked you through the transportation of America’s time. The exhibit was so interactive and large. It was so much fun to walk through and see these modes of transportation. There was a “Bus Stop”. Upon entering the bus you are spoken to by the driver and you feel as if the bus is on the move. There also is an exhibits that holds everything from costumes from Wicked to the Ruby Slippers used in The Wizard of Oz. These wonderful pieces give you the opportunity to see so many different items that have impacted America over time in so many different ways. I loved this ! 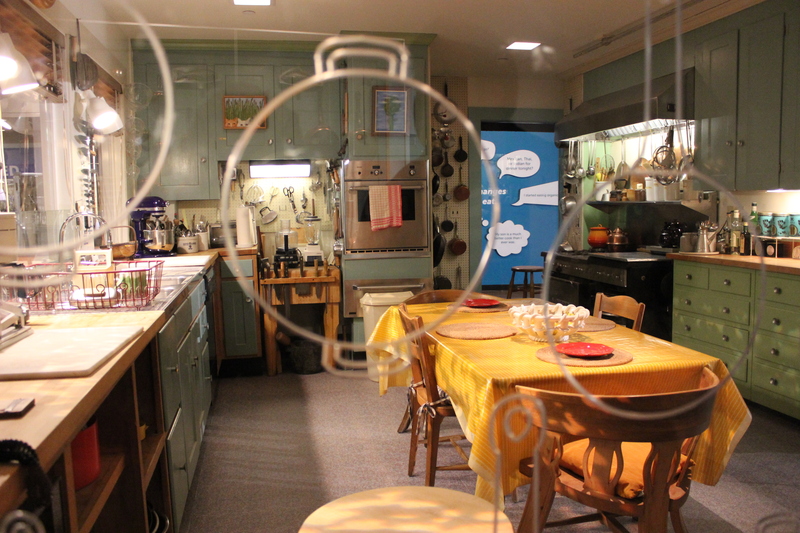 Julia Child’s Kitchen was recreated within this museum. There are specific details of the filming of her cooking show and in-depth descriptions of how certain aspects of her kitchen were altered in order to fit into Julia’s preferences. I absolutely recommend visiting this exhibit. There are more pictures within the Gallery if you are interested. I would love to hear your feedback if you are looking for more information or have a question please feel free to let me know !